IMPERATIX, THE MODERN EMPRESS OR EMPEROR. 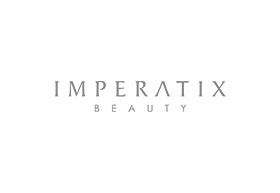 Imperatix Beauty is the ultimate symbol of elegance and excellence in luxury skincare. Changing the definition of beauty for women and men across the globe, this ground breaking range of holistic skincare regimen boasts of Dead Sea Minerals, a miraculous essence that attains crystal clear skin. Imperatix Beauty uses pure active ingredients and exclusive materials in it products. This powerhouse Australian skincare brand features a unique combination of active ingredients, with proven sustainable results. All of Imperatix products are free from pesticides and toxic residues. We are ready to reinvent and to encourage the inner Imperatix in every person.